The Skincare tablets work from within and help you look younger for longer by enhancing your skincare routine. 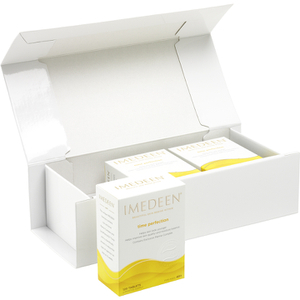 As well as skincare tablets, IMEDEEN boasts a range of targeted beauty perfection tablets, which help further enhance a thorough beauty routine, starting on the inside. 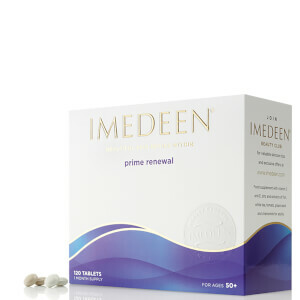 Working from the inside to enhance your beauty routine, the IMEDEEN Time Perfection skincare tablets are a vitamin supplement which helps improve skin quality and moisture balance. The new approach works from inside the body to protect your skin cells and benefits can be seen in as little as 12 weeks. 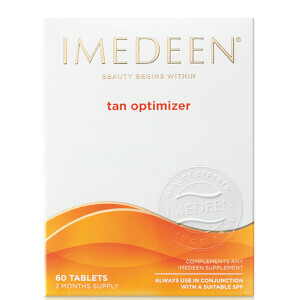 Get the summer skin you've been dreaming about from the inside with IMEDEEN Tan Optimizer sun preperation tablets. The supplements are enriched with skin-boosting duo vitamin C and E, which get together to help protect skin from UV induced oxidative stress. The tan optimizer also helps support your skin's own sun protection mechanism and minimises sun-induced skin ageing. 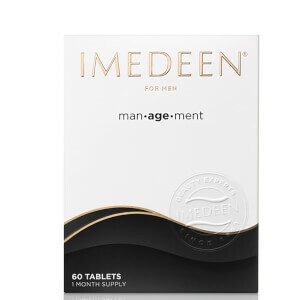 Working to help boost hair and nail health, the IMEDEEN Hair and Nail tablets are perfect for women on the go. Combining a trio of biotin, zinc and B-vitamins, the vitamin supplements get to work to enhance your daily beauty routine and maintain healthy looking locks and strong nails. Shop the IMEDEEN range on Lookfantastic with free worldwide delivery and free UK delivery when you spend over £50.